Clean and cut-away the harden end of the spears. Microwave on HIGH for 2-3 minutes. Check... and if the asparagus is not quite done, microwave again on HIGH for another 2 minutes. Using a double boiler method, melt butter. Add lemon juice, yolk and cream. Stir until the mixture thicken. Remove from heat, stir in salt and mustard. Keep on whisking until the mixture is smooth. Fill about 3 inches high of water in a saucepan. Bring to boil. Crack the egg in a bowl. Gently pour the egg into the rapid boiling water. Leave it for 2-3 minutes for a soft yolk. Dish the egg out with slotted spoon onto kitchen towel. Drizzle hollandaise sauce over asparagus and poached egg. Season with salt and pepper. Oh, I love eating my asparagus raw with hollandaise sauce and some kind of seasoned mayo! Simple but packed with great tastes. Don't worry about being emotional. We humans are born emotional creatures, right? 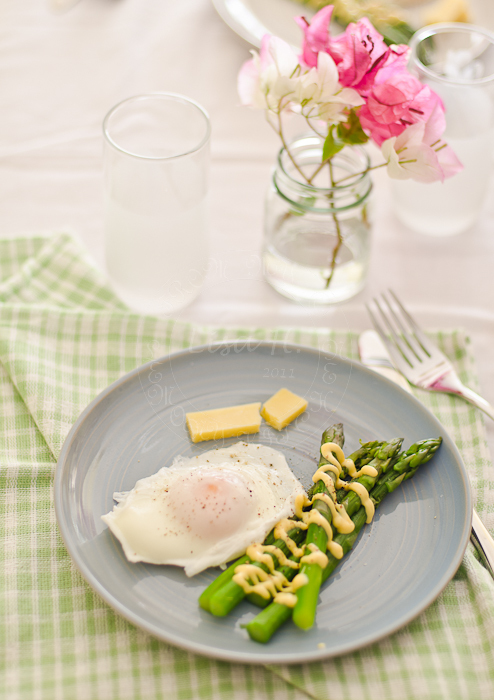 That creamy hollandaise sauce looks so good with the poached eggs and asparagus! Gorgeous pictures too! Beautiful picture & loves the egg, very well done. I'd voted for you. Love poached egg with aspragus. Kalau ada smoked salmon pun sedap, lepas tu letak sikit capers. Yumm. I selalu mengelat, I pakai bottled holaindaise.. This is one very popular summer dish over here. Beautiful clicks! 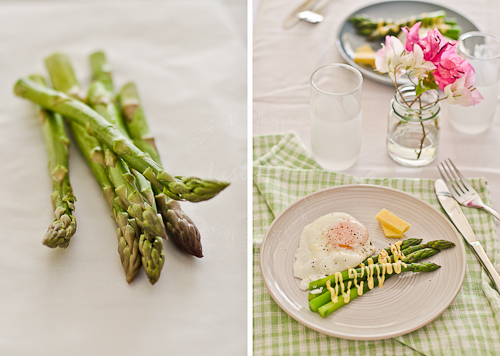 A lovely way of serving asparagus! I love your clicks. Lisa, You got my vote! Aran is already a confirmed top 100. I remembered because my gf who nominated me submitted me in the wrong year! Haha! You need to wait for next year ah! Please correct me if i'm wrong. 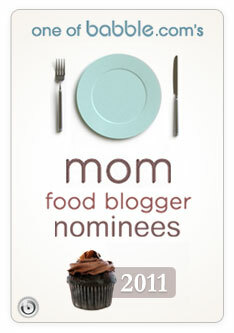 great blog and a list of wonderful recipes! hope to make hollandaise sauce one day to go with english muffins, hope it's not too difficult to make! btw, my vote for you is in already! I am still a beginner...hehehe, dont know much about lighting, angles etc..
Aran is voted for best photography... and our Ellie(almost Bourdain) is at no 5. 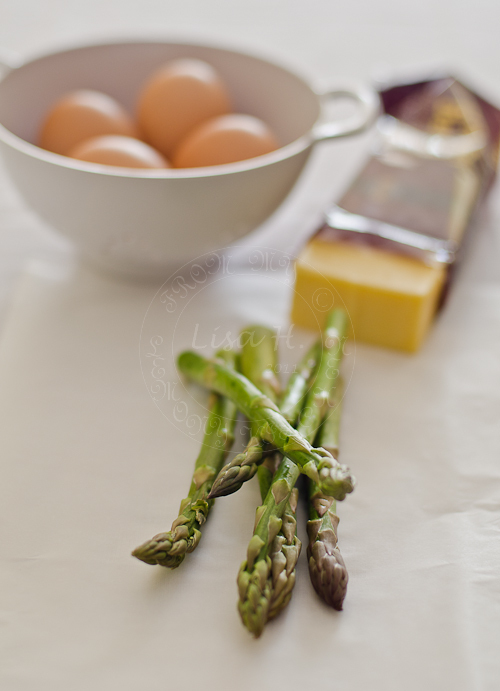 I love asparagus and eggs. I like to roast it and then top it with an egg. Sometimes I toss the asparagus in a little lemon juice, mustard and mayo, then toss it in panko and roast it. Then I top it with a fried egg and coarse salt. It is so good. I will have to try your recipe, how could you go wrong with Hollandaise. So simple and perfect for a lunch at home! Congrats on your nomination! Those photos are so beautiful! I have never made hollandaise sauce before, as I don't feel very confident making custard-like sauce. May I ask you what type of mustard are you using? Powder or paste? Congratulations Lisa on the nomination! Much deserved! You have come a long way my dear. I could still remember the day you asked me on how to start blogging...and now you have fans all over the globe.